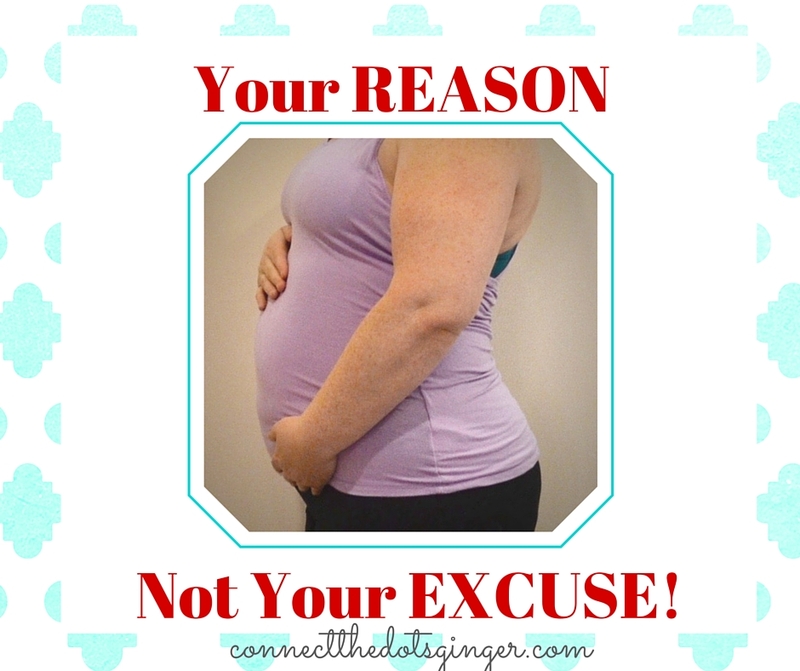 I have no idea why but most women, including myself with Mason (pregnancy #1) once we get pregnant, our mindset changes to EAT ANYTHING I WANT AND YAY! I CAN STOP EXERCISING! Seriously! So many women, the moment they get pregnant they just stop doing what they know they should be doing. I get it, the first trimester though, backing off from exercise because that is the most crucial stage and when most miscarriages happen, but once you hit 12 weeks there isn't really anything stopping you from continuing exercise. With Mason, I was so scared to do anything. I worked so hard to get pregnant with him after 8 years of trying. It literally terrified me to exercise. But I didn't take care of me. I didn't do what I knew I should have. Even just walking would have been better than nothing. And walking regularly. I went walking more once I hit 32 weeks or so because I was trying to get my body ready to have the baby and I needed to have him ready a week early since Matt was being deployed to Iraq. Let's change the mindset for pregnancy. Here are 5 tips to help you start right away with exercise! 1) GET STARTED RIGHT AWAY! 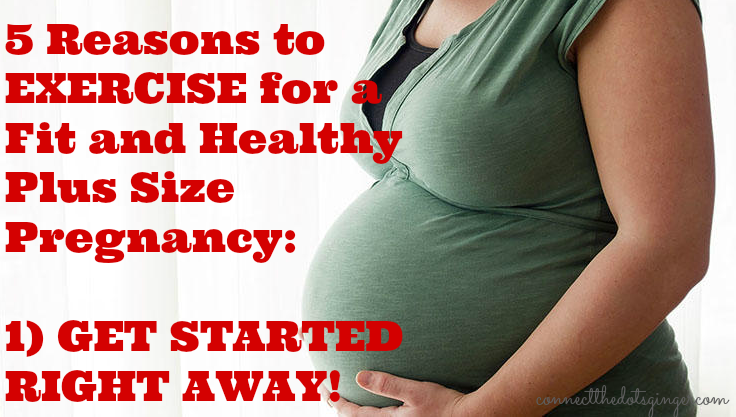 When you get pregnant, yes, back off from doing HIIT, jumping, running even. But continue to walk, or do the elliptical. Do as much as you can before morning sickness sets in. And when you do get morning sickness, still try to do what you can, but know it is ok to back off for now. 2) GET BACK TO IT! Once you hit 12 weeks or feeling better from morning sickness. GET BACK TO IT! You will have to go slowly, especially if you took some time off because you were sick or exhausted. But slow down. And you might be out of breath more because of the increased blood flow requiring more energy to move oxygen around your body. At times it is going to be hard to want to get your workout in. But don't give up. It is exactly what you need to be doing to keep you healthy and to keep the baby healthy. 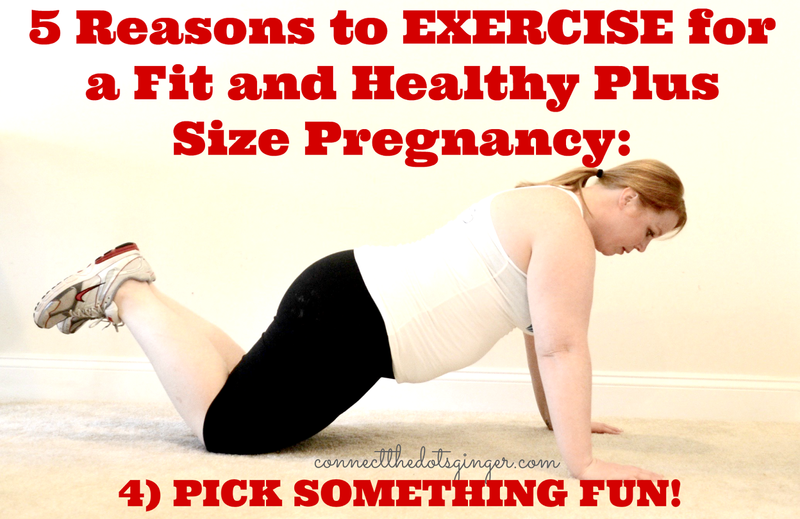 Added bonus, exercise while pregnant helps with labor! So if you are wanting labor to faster, more controlled, DON'T GIVE UP! For me, what keeps me interested in exercise is to pick something that I enjoy. About one day a week, I am doing something that allows me to shake my booty and dance! Why? Because it always puts a smile on my face. I might be horrible at dancing but it is still fun. Or yoga. I never, ever thought that I would enjoy yoga but it is my relaxing me time every week and just stretching out my sore muscles and keeping my back from hurting even worse is a BONUS! And you don't have to do hours, on hours of exercise. I am honestly doing 30 minutes 5 days a week right now. The exercises I do, 21 Day Fix, Beachbody On Demand Active Maternity, Cize are specifically cardio + strength training. A 2 for one as it were. Which cuts down on me having to do cardio on top of it. Would I benefit from doing cardio, of course. But I don't have a treadmill at home and being a stay at home mom I can't get into the gym to walk on a treadmill. We are getting outside more and walking since it is getting warmer. But since I have the boys walking with me, we aren't going too fast. But something is better than nothing! That is why I am specifically doing cardio + strength training. You are working hard to stay active and do exercise. That does not mean you earned a candy bar or cupcake. Nope. Exercise does not have a reward system. For so long I thought it did but it doesn't. It is OK to eat treats and cravings OCCASIONALLY but not everyday. Eat right, eat whole foods, and be smart about how you treat yourself. DO NOT feel guilty for enjoying a treat. There is nothing wrong with having a treat. And honestly to stay on track with your progress you need to allow yourself treats otherwise you will go back to old habits. Which for me include binge eating the foods I am depriving myself of! Or find new cravings. Frozen grapes are AMAZING! Strawberries! Watermelon! Homemade Granola! YUM! Buy exotic fruits, like mango or pineapple and enjoy them. Your body will love them and will thank you!